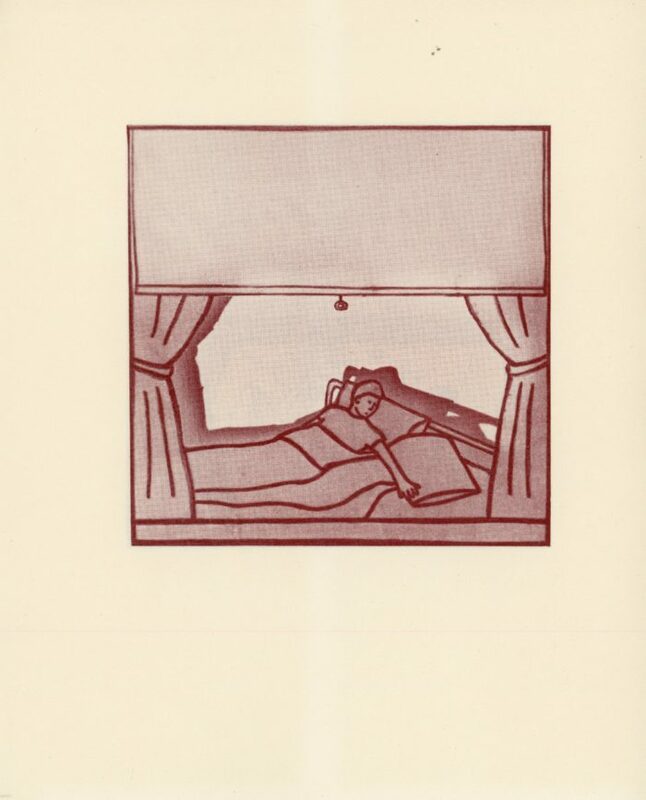 Illustrated artists booklet. 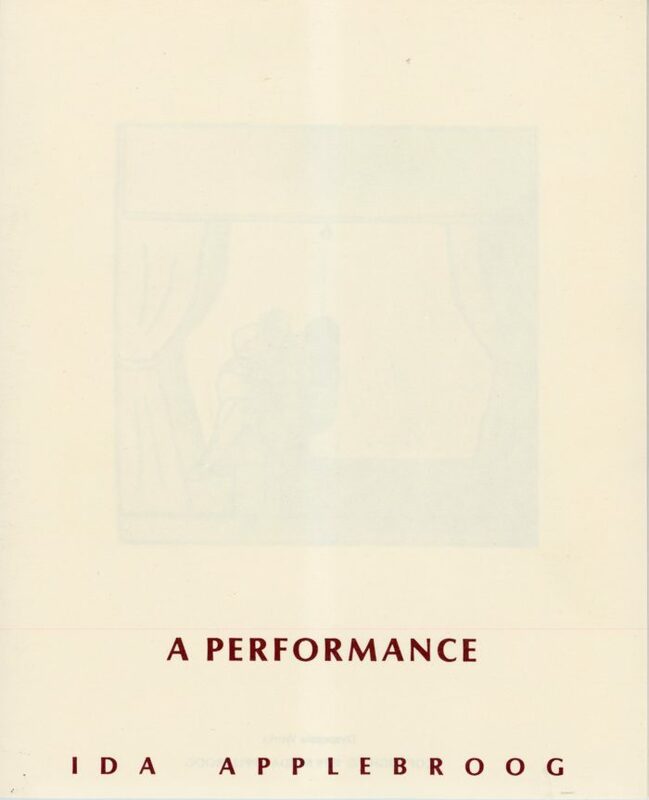 Self published by Ida Applebroog, A Performance: Dyspepsia Works, 1979. 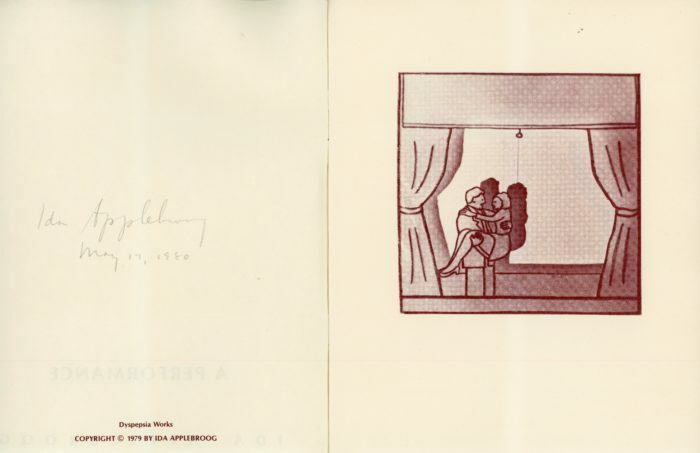 Art book is signed by Applebroog inside front page, 1980.